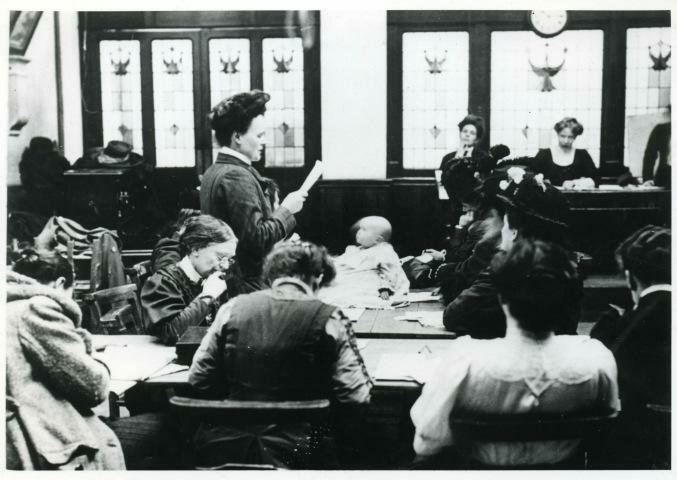 Central Library is hosting an exhibition to celebrate the remarkable life of suffragette Annot Robinson. The free exhibition - Annot Robinson: A Scottish Suffragette in Manchester - is open until Thursday 31 March. The exhibition is held in the ‘Radical Thinking' section of the library's ground floor Archives+ Centre, which acts as a showcase for Manchester's forward-thinking men and women and the radical ideas that have shaped the city. Born in 1875, in Montrose, Scotland, Annot was a passionate feminist, socialist and pacifist, who played a crucial role in the Votes for Women campaigns. Annot spent six months in Holloway Prison and three weeks in Strangeways Prison, as a result of her active involvement in suffragette protests. One of the notable items to be displayed is a telegram sent by Annot, notifying her husband of her arrest during a protest at Westminster. Annot moved to Manchester as a young woman and married Sam Robinson, the propaganda secretary of the central branch of the Independent Labour Party (ILP) and a supporter of the suffragette Women's Social and Political Union. Annot campaigned for equal pay for women working in munitions factories in World War I, organised Women's Peace Crusades across the country from 1917-1918 and worked tirelessly for the Women's International League, in Ireland and USA. Also featured in the exhibition are newspaper cuttings telling the story of Annot’s second daughter’s ‘socialist christening’. Dispensing with the usual baptismal rites, Keir Hardie - the first Labour Party leader - pinned the badges of the ILP and Women’s Labour League to the baby’s clothes. Councillor Rosa Battle, Manchester City Council’s Executive Member for Culture and Leisure, said: "Manchester has a proud tradition of radical men and women, like Annot, whose actions and ideas have helped shape our great city. "Annot’s inspiring story reminds us that we must continue to stand strongly against prejudice and discrimination. She is just one of the great characters from Manchester history whose life and times are brought to life for today's Mancunians at Central Library's interactive Archives+ Centre." For more information about the wealth of activities and resources available in Manchester’s libraries, go to www.manchester.gov.uk/libraries.